At the height of the silent movie era pioneering filmmaker Lottie Lyell battles society, showbiz, and her own mortality to create an enduring legacy of the forbidden love with collaborator Raymond Longford. Lottie Lyell is Australia’s first movie star, writer, stuntwoman, director, lover, rule breaker and trailblazer. The only thing she couldn’t conquer was time. Base on a true story, The Sentimental Girl celebrates Lottie Lyell at the prime of her career during the golden age of silent movies and the rules she had to break to live life and create art on her terms before she succumbed to tuberculosis at the tragically young age of 35. 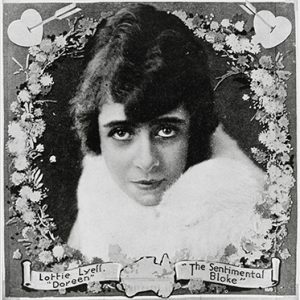 The film is set during the making of the box office smash hit The Sentimental Bloke (1919) and told through the eyes of a young Lottie. At her side is Raymond Longford, Australia’s illustrious film director, who falls deeply in love with Lyell despite being a married man. Together the pair form one of the most influential and pioneering partnerships in Australian film history.